Every person on the planet is a theologian. (Theology = the study of God.) Even atheists are theologians — we all think about God, have beliefs about God and live our lives accordingly. Here’s the deal: We’re either good theologians or we’re poor theologians. Good, sound theological bearings in our lives will provide stability, contentment, and an undercurrent of joy that will keep us humble during the good times and sustain us during difficult times. The Apostle’s Creed was not written by the Apostles but is a summary of apostolic teaching that contains essential Christian doctrines and beliefs that summarize the gospel and make up the foundation of our faith and is rooted in truth and a rich history that connects the 21st century Church to the early Church – a time when the Church was growing exponentially. If you have a Catholic background you’ll either think this is awesome because it’s a prayer that is often prayed in the Mass – or you could be pretty nervous right now thinking that the Apostles’ Creed is a distinctly Catholic prayer. It’s not. The Apostles’ Creed dates back to between 180-250 AD. On the other hand a few of you may have grown-up in a very conservative church where you heard statements like, “No creed but Christ!” If that is your background and general disposition I would urge you to reconsider. To identify and list essential historic Christian truths. To distinguish truth from error. For example, The Shema, based on Deuteronomy 6:4-9, is used as a creed (usually benedictory). Paul included a number of creed-like statements in his letters. Whether or not he generated them, or they were teaching creeds circulating around the churches written by other teachers, we don’t know for sure. But scattered throughout his letters are several poetic, devotional, and instructive meditations. 1 Timothy 3:16 is a good example. As the early church spread, there was a very practical need for a statement of faith to help believers focus on the most important doctrines of their Christian faith. As the church grew, heresies also grew, and the early Christians needed to clarify the defining boundaries of their faith. Here at CCC we view this series as an opportunity to review and teach the basic doctrines of our Christian faith. Over the next 12 weeks we will not be preaching the Creed but using the Creed to preach the gospel as well as to teach some basic foundational and historic theology. Like the moon reflecting the light of the sun – a historic creed reflects the light of Scripture. The scriptural truths contained in the Apostles’ Creed help us to live-out good theology with the knowledge that our faith is rooted in truth and in a rich history that spans past and present. W will consider the first two words of the Apostles’ Creed: “I Believe.” We will look at just two verses but then turn our attention to focus on exactly how belief occurs. Takeaway: To believe in Jesus Christ is to confess Jesus Christ. The result is justification, which forever changes our legal standing before God. God declares us not guilty, but righteous because of the finished and complete work of Jesus Christ. There is a difference between knowing something and believing something. To know something is to have it registered in our brain. To believe something is to have knowledge travel the 18-inches from our head to our heart. To confess and believe happens when the truth moves from something we understand to something we stand under. To use the Apostle John’s language from 1 Jn 3: We go from knowing to beholding. What’s going on here? This is not new information. The son already knew that his father loved him. It’s not a new idea — but the idea becomes new. He doesn’t get new information but the information becomes new. He experiences his father’s love in a new and profound way. What it means to believe and confess is that we experience God’s sweet embrace – and the truth becomes radioactive in our heart. I have to ask: Has this happened to you yet? Have you experienced the Father’s sweet embrace? Notice how Paul reverses the order of verbs in v. 9 and v. 10: confess–> believe –> believes –> confesses. This a literary technique called parallelism. When a writer employs parallelism, it is done to add emphasis to the author’s intent. What Paul is saying in these verses is that heart-belief and mouth-confession are one and the same — and that hey come together for our justification (some translations use the word “righteousness” – NAS, KJV, NKJV). Order of Salvation, or the Latin phrase Ordo Salutis, refers to the lining up in chronological sequence of the events which occur from the time when a person is outside the community of faith and dead in their sin, through to the time when a sinner is fully and finally saved. Outward Call: God sends us an outward call by bringing the message of the gospel across our paths, either through reading or hearing the good news of the gospel proclaimed. We have a “wait, what?” moment. Inward Call/Heart Awakening: Next, God provides an inward call through the prompting of the Holy Spirit, which awakens, or calls to life previously dead hearts. Conversion = Repentance + Faith. Repent of sin and trust in Christ for salvation. (Think of a two-sided coin.) Regeneration and conversion is our response to the inward gospel call. We see Paul’s dramatic conversion detailed in Acts 9. Imputed Righteousness – The word “impute” means “ascribe” or “credit.” Imputed righteousness thus carries the theological weight of being “counted” or “considered” or “reckoned” righteous. Paul is not writing that we are transformed into people who possessrighteousness, but rather that we have been united to Christ (i.e., the 30 “in Him” passages of Paul’s letters) and because of our union with Him (the emphasis of Romans 5), we have that which He possesses, that is, Christ’s righteousness. In God’s eyes Jesus’ perfect record is imputed to us. We are treated as if we had lived the perfect life that Jesus lived. We are given the love that Jesus deserved (through His obedience). We have the same access to the Father that Jesus did. The best news is that all of this comes not from us doing anything (i.e., works) at all, but simply by confessing and believing. Adoption: At the same time, God adopts us, making us His children and the brothers and sisters of Christ; and He also unites us with Christ, so that henceforth we are in Him (think of a judge declaring you not guilty and then taking of his judicial robe and adopting you into his family). Grace Empowered Sanctification: Beginning at that point, and on throughout the rest of our lives, God changes us into His likeness. This occurs mostly through worship and surrender (not willpower – although the will is involved). When (or, as) we worship and surrender the grace of God comes and does IN us and THROUGH us what we could never do on our own. Grace Empowered Perseverance of the Saints: Throughout this time, God empowers us to persevere in the faith through grace, so that we do not fall away. Then, at death, we enter an intermediate state, where we are in the presence of the Lord, but without our physical bodies. Glorification: Finally comes glorification, when our bodies will be resurrected and changed so that they will no longer decay, and we will inherit the new heavens and new earth, where we will live in the presence of God for all eternity. A woman named Hetty Green died in 1916 and left an estate valued at between $100-200 million. She went down in history as, “America’s Greatest Miser.” It was said she ate cold oatmeal to save the cost of cooking it. Her son had to eventually have his leg amputated, because she was too cheap to pay for medical care. Hetty Green was wealthiest woman in the world, yet she chose to live like a pauper. We have unlimited spiritual wealth at our disposal and yet we often live in spiritual and theological poverty. Do you just know about God, or have you experienced the Father’s love in a new, regenerating, and profound way? Adapted from Thomas Goodwin (1600-1680), an English Puritan theologian and preacher. A balance within one or more sentences of similar phrases or clauses that have the same grammatical structure. The justification of a sinner is based solely upon the complete and unwavering righteousness of Jesus Christ, which is imputed at salvation (see Romans 5:18-21; 2 Corinthians 5:21; Philippians 3:7-10). Imputation means that the merit of Christ’s work of mediation is legally applied to the person, to their account, so that s/he is saved, justified, positionally made fit, and entitled to all of salvation based on a righteousness they personally did not produce, the righteousness of Christ becomes their Substitute and Surety. Verses 1-6: Addresses our status in the kingdom of God. We are to become like children (child-like, not childish) and recognize our dependence on God and trust God like a child trusts a loving and attentive parent. V. 4 tells us very clearly that it is the truly humble people who are the most highly regarded people in the kingdom of God. Verses 6-14: Tell us that the church is to be a place where the powerless are cared for, that the abuse of people will not be tolerated, and that God deeply cares for each and every person – and is willing to leave the 99 to go after the 1. Takeaway: The church is to be a place where sinners are mercifully restored and the church is to be a place where people are quick to forgive and quick to seek reconciliation. When conflict happens it must be dealt with immediately. Our natural tendency to look the other way and pretend it’s not there – hoping that it will just go away. But it won’t. Conflict that is not attended to immediately is like a neglected infection, and sooner or later it will engulf the entire organism. Unresolved conflict can do great damage to us as a church as well as to our witness as a church. For that reason, Jesus gives us very clear and specific instruction. Jesus tells us with specific CLARITY what to do when there is tension between the church members. Our goal in resolving inevitable church conflict is never retaliation or vindication, but always reconciliation – we want to show and honor Jesus Christ in our healed relationships. Step 1 – one on one (v. 15) “If your brother sins, go and show him his fault in private; if he listens to you, you have won your brother. I don’t circulate, I don’t inflate, I don’t inflame, but the first step is to go talk to that person. We will need to identify if we each have a clear picture of what happened, or what was said. I would like to point out that in these conflict resolution steps there is both an informal process as well as a formal process. A more formal process might occur if some habitual sin, like gossip, continues to surface in a person’s life. The main idea of Step 1 (or v. 15) is, can we settle this at the lowest level possible? The goal is to establish a renewed “family” relationship with our brother or sister. It may take a little time and a little work. “Help me understand…” is a great intro to what could be a difficult conversation. This isn’t to be mechanical and reconciliation certainly isn’t automatic, it’s something to be done with great care. But what if it doesn’t work? Step 2 – Go in two’s (v. 16) But if he does not listen to you, take one or two more with you, so that by the mouth of two or three witnesses every fact may be confirmed. **This is where it can get harder, or messier. Often times it “feels” so much easier to talk to someone we feel would be more on our side of the conflict than it is to actually talk to the person we are having the conflict with. This verse reflects the ancient Jewish standard of fairness. That everything would be established by one or two credible witnesses. The “witness” or “witnesses” are to delve into both party’s perspective of the conflict. What if Step 2 doesn’t work? Step 3 (v. 17) If he refuses to listen to them, tell it to the church; and if he refuses to listen even to the church, let him be to you as a Gentile and a tax collector. Tell it to the church. This DOESN’T mean that we talk to all our friends in the church! We are to speak to those who represent the authority in the church. Ultimately this would be the elders in the church. The role of the elders is primarily 3-fold: Doctrine, Direction (vision), and Discipline – yet after steps one and two have been unsuccessful. The goal is always to help people build a holy consensus and unity that will express the reconciliation that God has brought to us in the Person of Jesus Christ. As Christians we have been reconciled to Christ and there are times when we need to be reconciled to one another. Again, conflict is inevitable. The gospel is to be expressed in the way we deal with one another. Sometimes the elders need to get involved. Sometimes it can get really messy and difficult. And sometimes we need to involve outside Christian arbitration. Sometimes it is necessary to inform someone they are in great spiritual danger. You may be denied access to the communion table – and your fellowship at this church will be in jeopardy. No one likes talking about this – until it is your reputation that has been smeared… Or your family has been cheated… Or your marriage has been shattered… Or your church leaders have been scandalized in some way. What Jesus is saying here is that to protect His Church, He has given us a clear guiding process. God protects His Church by providing a process. What is the purpose of this process? We are not to be mindless or automatic… Why would we bother to do this? The primary reasons are rescue and reconciliation. We are willing to engage in uncomfortable conversation in order to rescue and reconcile people due to their own sinful behavior OR from being victimized by other people’s sinful behavior. The whole purpose of this process is to gain a brother or a sister. Verse 17: What does it mean to treat someone as a Gentile and a tax collector? We are to cut off the unrepentant from access to the sacraments as well as from social relationships. The purpose of church discipline in all its forms is not to punish for punishment’s sake, but to call forth repentance in order to recover the straying sheep. Ultimately, there is only one sin for which a church member is excommunicated — an unwillingness to repent. When there is genuine repentance, the church is to declare the sin forgiven and receive the offender into fellowship once again. The ruling authorities (usually the elders) pray a prayer that removes the church’s covering from the unrepentant sinner/s. Paul applies this disciplinary action in both 1 Corinthians 5 and 1 Timothy 1:20. There was obvious and blatant sin in both Corinth and Ephesus and Paul was admonishing each of the churches and their leaders to address it. This is not an angry, reactive, pugnacious determination, it is a humble and sorrowful response to sin with a longing for full and complete repentance and restoration. We see Peter attempting to be generous by offering to forgive someone seven times (he doubled the Jewish standard of three times and added an extra). Then Jesus lovingly says, “Not exactly Peter – it’s seventy times seven times.” The idea is that if we actually tried to keep track we would lose track along the way. Here is something you may not have thought about before: The goal of this biblical process is ultimately about our mission as a church. That others, even outside the church, would see the gospel in operation as we continually pursue healing and reconciliation with one another. We want to make the gospel known by the witness of the church. The separation that can happen in church can have eternal consequences for some people when we don’t follow the biblical processes laid down by Jesus for His Church. We are to extend the mercy we have received from Jesus Christ at the cross to one another. Luke 7:47 tells us that those who have been forgiven much will love much. Here is something that is continually surprising to me…In almost every church there is a person, or group of people, who want to be regarded as church leaders – or, people who regard themselves as gatekeepers in the church who often cause the most damage and strife through gossiping and triangulation (explain triangulation). These people can even have a strong understanding of the Bible and be very gifted in many areas, but in the end they disqualify themselves because they cannot hold their tongue – or they cannot take their concerns to the people who actually need to hear them. The rest of the church needs to lovingly stand up to these people and point them to the people they are complaining about or gossiping about. D.A. Carson, Editorial On Abusing Matthew 18, Themelios, May 2011, Vol 36, Issue 1. Does the Bible Condone or Condemn Slavery? The practice of slavery has developed in virtually every civilization known to humankind. Slavery in ancient Rome differed from its more modern forms in that it was not based on race. Nevertheless, it was an abusive and degrading institution. As much as two thirds of the Roman Empire were slaves during the 1st century — in both lowly and prestigious positions. Besides manual labor, slaves performed many domestic services, and might also be tasked with highly skilled jobs and professions. Greek slaves in particular were often highly educated working as accountants, tutors, and physicians. Unskilled slaves, or those sentenced to slavery as punishment, worked on farms, in mines, and at mills. Their living conditions were often brutal and their lives were usually short. Another distinction historians and anthropologists make is distinguishing between “open” and “closed” systems of slavery. In the “open slavery system” slaves could be freed and accepted fully into general society; in the “closed slavery system” slaves were a separate group and were not accepted into general society even if freed. Roman slavery generally conformed to the “open slavery system.” Cicero, the Roman politician, lawyer, and orator noted in his speeches that a Roman slave could usually be set free within seven years and under Roman law a slave would normally be freed by age 30. By contrast, “American slavery [was] perhaps the most closed and caste-like of any [slave] system known.” Thus, 17th-19th century slavery in America was both a “slave society” as well as a “closed slavery system.” And, sadly, many of the effects of our “closed slavery system” remain embedded in our culture. Jesus is the most revolutionary person who ever lived – and the purpose of His coming was to initiate a full-fledged yet subversive revolution, an upside down kingdom. Jesus, in His first coming, established the kingdom of God on the earth. Jesus, in His second coming, will consummate the kingdom of God on the earth. A helpful illustration is the Allied troops successfully landing on Normandy Beach in WW-2. With the success of the invasion the back of Hitler’s army was broken and the end of the war was inevitable. However, some of the fiercest fighting of the war occurred in the 11-month period between the Normandy invasion and VE-Day (e.g., Battle of the Bulge). It is the same with Jesus and His kingdom – His death and resurrection breaks the back of Satan’s army and the end of the war is inevitable yet we are still in a very real fight. Jesus and the NT writer’s subversive and revolutionary Christian affirmations, if taken seriously, begin to tear apart the fabric of institutional slavery. Jesus and the NT writers proclaimed the kingdom of God, declaring God alone as the one true King over heaven and earth. Jesus called His followers, as citizens of God’s kingdom, to live in a radically different way on earth and to “fight” in a radically different way. Rather than hating their enemies, they were to love them. 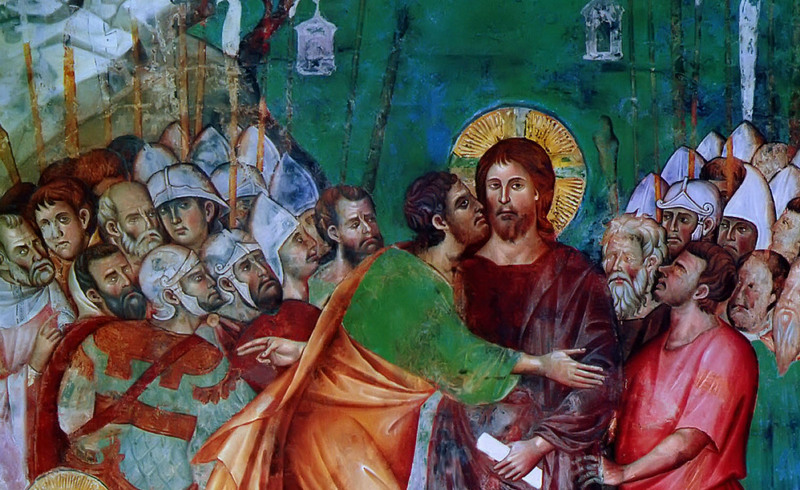 Rather than seeking revenge, the disciples of Jesus were to turn the other cheek. No ordinary revolutionary would say things like this. Jesus was advancing a deeper and more pervasive revolution, the overthrow of the kingdom of the Evil One and the victory of the kingdom of God. Jesus (and the NT writers) sought to keep the good news of the gospel at the hub of the cultural wheel – not social justice or any number of other legitimate causes. In Revelation 18:11–13, doomed Babylon (i.e., spiritually speaking those who oppose God) stands condemned because she had treated humans as “cargo,” having trafficked in “slaves [literally ‘bodies’] and human lives.” This repudiation of treating humans as cargo assumes the doctrine of the image of God in all human beings. The Bible clearly teaches a fundamental equality because all humans are image bearers of God (Gen 1:26; James 3:9). Yet, an even deeper unity in Christ is to transcend human boundaries and social structures: no Jew or Greek, slave or free, no male and female, as all believers are all “one in Christ Jesus” (Col. 3:11; Gal. 3:28). In the NT, the Greek word doulos is frequently used to designate a slave (one bound to another), but also a follower of Christ (or a “bondslave” of Christ). The term would have been an extremely common metaphor that every strata of society would have understood, which points to a relation of absolute dependence where the master and the servant stand on opposite sides with the former having a full claim and the latter having a full commitment. The metaphor indicates that a true servant can exercise no will or initiative on his or her own. Jesus Himself took on the “form of a doulos” (Phil. 2:7). As believers we have moved from being slaves to sin to become slaves of righteousness (Rom 6:17-18) by the matchless grace of God through the Incarnation of Jesus. John Piper writes that instead of a frontal attack on the culturally pervasive institution of slavery in his day, Paul took another approach in his letter to Philemon. Onesimus was a slave, Philemon was master and both were now Christians. Onesimus had evidently run away from Colossae (Colossians 4:9) to Rome where Paul, in prison, had led him to faith in Jesus. Now he was sending Onesimus back to Philemon. This letter tells Philemon how to receive Onesimus. In the process, Paul does at least 11 things that work together to undermine slavery. Paul draws attention to Philemon’s love for all the saints. “I hear of your love and of the faith that you have toward the Lord Jesus and for all the saints” (1:5). This puts Philemon’s relation with Onesimus (now one of the saints) under the banner of God’s saving grace and love, well beyond commerce. Paul models for Philemon the superiority of appeals over commands when it comes to relationships governed by love. “Accordingly, though I am bold enough in Christ to command you to do what is required, yet for love’s sake I prefer to appeal to you” (1:8-9). This points Philemon to the new dynamics that will hold sway between him and Onesimus. Acting out of freedom from a heart of love is the goal in the relationship. Paul heightens the sense of Onesimus being in the family of God by calling him his child. “I appeal to you for my child, Onesimus, whose father I became in my imprisonment” (1:10). Remember, Philemon, however you deal with him, you are dealing with my child. Paul raises the stakes again by saying that Onesimus has become entwined around his own deep affections. “I am sending him back to you, sending my very heart” (1:12). The word for “heart” is “bowels.” This means, “I am deeply bound emotionally to this man.” Treat him that way. Paul raises the intensity of the relationship again with the word forever. “For this perhaps is why he was parted from you for a while, that you might have him back forever” (1:15). In other words, Onesimus is not coming back into any ordinary, secular relationship. It is forever. In that same verse (1:16), Paul refers to Onesimus as Philemon’s beloved brother. This is the relationship that takes the place of slave. “No longer as a slave…but as a beloved brother.” Onesimus now gets the “holy kiss” (1 Thessalonians 5:26) from Philemon and eats at his side at the Lord’s Table. Paul tells Philemon to receive Onesimus the way he would receive Paul. “So if you consider me your partner, receive him as you would receive me” (1:17). This is perhaps as strong as anything he has said: Philemon, how would you see me, treat me, relate to me, receive me? Treat your former slave and new brother that way. Paul says to Philemon that he will cover all Onesimus’s debts. “If he has wronged you at all, or owes you anything, charge that to my account” (1:18). This is a beautiful picture of the gospel. All our debts are charged to Christ’s account. The upshot of all this is that Jesus, Paul and the other NT authors pointed the church away from slavery because it is an institution that is incompatible with the way the gospel works in people’s lives. Whether the slavery is economic, racial, sexual, mild, or brutal, Paul’s way of dealing with Philemon works to undermine the institution across its various manifestations while keeping the gospel of Jesus Christ front and center. To walk “in step with the truth of the gospel” (Galatians 2:14) is to walk away from slavery. Moses Finley. Ancient Slavery and Modern Ideology, Chatto and Windus, 1980. James L. Watson. Slavery as an Institution, Open and Closed Systems, in James L. Watson (ed. ), Asian and African Systems of Slavery, Blackwell, 1980: 43. Slavery in America began when the first African slaves were brought to the North American colony of Jamestown, Virginia, in 1619 to aid in the production of such lucrative crops as tobacco. Murray Harris. Slave of Christ: A New Testament Metaphor for Total Devotion to Christ, IVP 2001: 44. Adapted from Oscar Cullmann. Christ and Time: The Primitive Christian Conception of Time, John Knox Press, Rev October 1964. Another common NT term, diakonos, derives from a verb meaning “to wait at table,” or “to serve.” As the Son of man, Jesus “did not come to be served, but to serve, and to give his life as a ransom for many” (Matt 20:28; Mark 10:45). How Paul Worked to Overcome Slavery, desiringgod.org. This is an expanded re-post from Dr. Stephen J. Nichols who is president of Reformation Bible College and chief academic officer for Ligonier Ministries, and teaches on the podcast 5 Minutes in Church History. I added some definitions as well as several links to help expand the historical account. You can read Dr. Nichols original post here. First, there is the young bishop—too young by church laws—Albert of Mainz. Not only was he bishop over two bishoprics [a district or a diocese], he desired an additional archbishopric over Mainz. This too was against church laws. So Albert appealed to the Pope in Rome, Leo X. From the De Medici family, Leo X greedily allowed his tastes to exceed his financial resources. Enter the artists and sculptors, Raphaeland Michelangelo. When Albert of Mainz appealed for a papal dispensation, Leo X was ready to deal. Albert, with the papal blessing, would sell indulgences for past, present, and future sins. All of this sickened the monk, Martin Luther. Can we buy our way into heaven? Luther had to speak out. But why October 31? November 1 held a special place in the church calendar as All Soul’s Day. On November 1, 1517, a massive exhibit of newly acquired relics would be on display at Wittenberg, Luther’s home city. Pilgrims would come from all over, genuflect before the relics, and take hundreds, if not thousands, of years off time in purgatory. Luther’s soul grew even more vexed. None of this seemed right. Martin Luther, a scholar, took quill in hand, dipped it in his inkwell and penned his 95 Theses on October 31, 1517. These were intended to spark a debate, to stir some soul-searching among his fellow brothers in the church. The 95 Theses sparked far more than a debate. The 95 Theses also revealed the church was far beyond rehabilitation. It needed a reformation. The church, and the world, would never be the same. One of Luther’s 95 Theses simply declares, “The Church’s true treasure is the gospel of Jesus Christ” [#62]. That alone is the meaning of Reformation Day. The church had lost sight of the gospel because it had long ago papered over the pages of God’s Word with layer upon layer of [dead and greedy] tradition. Tradition always brings about systems of works, of earning your way back to God. It was true of the Pharisees, and it was true of medieval Roman Catholicism. Didn’t Christ Himself say, “My yoke is easy and my burden is light?” [Matthew 11:30]. Reformation Day celebrates the joyful beauty of the liberating gospel of Jesus Christ. What is Reformation Day? It is the day the light of the gospel broke forth out of darkness. It was the day that began the Protestant Reformation. It was a day that led to Martin Luther, John Calvin, John Knox, and may other Reformers helping the church find its way back to God’s Word as the only authority for faith and life and leading the church back to the glorious doctrines of justification by grace alone through faith alone in Christ alone. It kindled the fires of missionary endeavors, it led to hymn writing and congregational singing, and it led to the centrality of the sermon and preaching for the people of God. It is the celebration of a theological, ecclesiastical [i.e., clergy – pastors, etc. ], and cultural transformation. So we celebrate Reformation Day. This day reminds us to be thankful for our past and to the [Martin the] Monk turned Reformer. What’s more, this day reminds us of our duty, our obligation, to keep the light of the gospel at the center of all we do. Doctrine – The [church] elders will be the guardians of the church’s doctrinal stance for both the essentials of the Christian faith as well as non-essential (or secondary) issues of faith. The non-essentials of the faith most often describe the doctrines in the Bible that while very important, are not essential to salvation. For instance, whether or not someone believes in the baptism of infants or whether or not God still heals today. These are important issues; yet, what someone believes about these are not essential to salvation. Direction – With input from the Staff, Ministry Leaders, Members, and Attenders the Elders will be responsible to determine the vision of [the church] and, with the Lead Pastor, identify 3-5 yearly ministry objectives. The Elders will then delegate to the Lead Pastor the authority to oversee all Staff and operations of the church, and then consistently hold the Lead Pastor accountable through monthly reports and regular (yearly) performance reviews. The Elders will also consistently evaluate the progress of the ministry objectives by employing both qualitative and quantitative metrics. Qualitative Metrics include (but are not limited to) widespread genuine joy and excitement in the gospel, unity, maturity, zeal, faith, hope, love, increased boldness and zeal in evangelism with a winsome and contagious witness among a cross section of people, the aroma of Christ and the presence of the Holy Spirit, responsive obedience to the Word of God, the fruit of the Spirit, a humble willingness to follow the leadership, eagerness to do works of service, receptivity to non-Christians, seekers, and newcomers, etc. Quantitative Metrics include (but are not limited to) measuring the numbers of conversions, baptisms, numbers of Bible studies, small groups, those enfolded into groups, weekend worship attendance, general giving, missions giving, numbers of those serving inside and outside the church, numbers of new and consistent givers, involvement in ministries and outreaches, attendance and quality of training events, etc. Discipline – Broadly speaking, there can be a distinction between formative discipline (referring to instruction to develop the disciplines of the faith) and corrective discipline (referring to correcting sin). Corrective discipline refers to any act of correction, whether privately and informally warning a friend (which all Christians are called to engage in with gentleness and humility) or formally engaging a habitually sinning member in the corrective discipline process outlined in Matthew 18:15-19. The Elders become involved when all the other relational resources of the church have been exhausted. When the formal process gets to the final stage, the word “excommunication” is frequently used. To excommunicate is to “ex-commune” someone. Among Protestants, excommunication does not refer to removing someone from salvation (which the church is incapable doing) it refers to removing someone from membership in the church and participation in the church’s ministries including the Lord’s Supper. This effectively removes the spiritual connections and covering of the church with the hope for a deep and heartfelt repentance. This is not directly addressed in Scripture but would come under the eldership qualification of managing his household well — with love and dignity (see 1 Timothy 3:4-5). In addition to being a spiritually mature believer an elder’s wife must also be self-differentiated (as do Elders!). Jesus would be 100% differentiated, the rest of us would land on a scale ranging from low to high. People with a high level of differentiation have their own beliefs, convictions, direction, goals, and values apart from the pressures around them. They can choose, before God, how they want to be without being controlled by the approval or disapproval of others. Intensity of feelings, high stress, or the anxiety of others around them does not overwhelm their capacity to think and act intelligently and with responsive wisdom. There are times of high stress and anxiety in an elder’s home and marriage (again, if married). During these seasons the elder has the opportunity to regularly process with other elders while his wife may feel the weight of the stress and anxiety (no matter how much she knows about the situation) without the opportunity to process with others. If she is not differentiated she may be given to “leaking” her stress and anxiety in unhealthy ways. The stress and anxiety can lead to defensiveness, triangulation (i.e., unnecessarily involving a third party), or outright gossip. Self-differentiation is an emotional health issue. Unfortunately many churches have not done a good job of integrating emotional health into the discipleship process. Certainly the time commitment will vary. Not every elder will have an equal amount of time per month to serve. However every elder will need to determine during the vetting process if he has sufficient time to devote. The goal during this transition season at [the church] is to show that being an elder at [the church] is (overall) a joyful ministry opportunity! Whether or not a church believes in “elder for life” there does need to be required sabbaticals (TBD, somewhere between 3-5 years). I recommend three meetings a month. The goal of all of these meetings is to balance effectiveness with efficiency. A monthly board meeting to carryout the legal requirements of a 501(c)(3) tax-exempt organization by reviewing financial and attendance reports, holding the Lead Pastor accountable through engaging with his Ministry Objective Report, providing counsel and input to the Lead Pastor when asked for, and actively moving toward consensus and unity. The agenda for a board meeting is jointly assembled by the Board Facilitator and Lead Pastor and sent out with monthly reports 3-5 days before the Board Meeting so that every member can come prepared to move quickly and efficiently through the agenda. A board meeting should last no more than two hours, however it will most likely take an additional two hours to properly prepare for the board meeting. A monthly “work” meeting to engage in extended prayer for the church, the staff, leaders, members, attenders, specific prayer needs, and for God to bless the church with salvations. Additionally, in a work meeting the elders review any current or possible church discipline issues as well as continue to study and refine [the church’s] doctrine. Position papers are often written for effective instruction and communication to the rest of the church (hot topics include women’s roles in leadership, sexuality, and defining marriage). These meetings can last 2-3 hours. A monthly “check-in” meeting to share and care for one another. Honest sharing about joys, challenges, struggles, marriage, work, etc. and praying for each other individually as needed. I would also encourage, at least once a quarter, for these meetings to include wives for continued relationship building, sharing, and caring. This also helps the wives to be able to engage with their own wisdom and discernment (where appropriate) as well as being an outlet for any pent-up stress and anxiety. These meeting should last 1-2 hours. When the wives are involved it should usually take place over a meal, with plenty of time to interact plus time to pray together. I would also recommend an elder’s retreat on a regular basis – at least yearly. This could just be for the guys, or for couples (maybe one of each??). Addendum #1: What About Women Elders? Complementarian – The theological view that men and women are created equal in their value, being, and personhood through bearing the image of God, displaying physical and functional distinctives and are created to complement one another in biblically prescribed roles and responsibilities in marriage, family life, and church leadership. Complementarians view women’s roles in church ministry as distinctive from men, holding to the “mystery” of mutual submission, male headship, and sacrificial love conveyed in Ephesians 5:19-33. Practically, this is expressed through the practice of male lead pastors and elders. Egalitarian – The theological view that not only are all people equal before God in their personhood, value, and worth but there are no gender-based limitations of what functions or roles each can fulfill in the home, church, or society – viewing Galatians 3:28 as a hinge-verse that changes the historical role of women in the Church. Complementarianism has it’s own continuum: “Soft,” “Strict,” and “Hyper” (again, for another time). Historically, [the church] has been more complementarian in its theological perspective with male elders and pastors. This is an area that the incoming elders will oversee theological clarification on. (If a nominee tends toward an egalitarian view it will not disqualify him.) Also, many healthy and vital churches have a provision in their governance model to add “gifted men and women” to their board. These men and women would not be considered elders but their wisdom and discernment would be consistently utilized. Addendum #2: Can Vocational Staff Be Elders? This is an area that is not clearly defined in Scripture. Many healthy and vital churches have differing views on this question. When a church is in transition with the aim of calling a “Permanent Pastor” it’s generally wise to not have any vocational staff as elders. When a permanent pastor comes on the scene it can be awkward and confusing for the permanent pastor to be the (new) supervisor of the staff member/s at work but be a co-equal in an elder’s meeting. In the governance model expressed above the Lead Pastor can bring one of his staff (often the Executive pastor) to a Board Meeting as a non-voting member to give input as well as helping the Lead Pastor communicate with the rest of the staff. As we begin a new school year (which, most churches orient their calendars around) I am reminded of Paul’s words to Timothy, “Pay close attention to yourself and to your teaching; persevere in these things, for as you do this you will ensure salvation both for yourself and for those who hear you.” (1 Timothy 4:16). Consider the following questions in order to be proactive and intentional about becoming all that God has called you to be. Is responsive obedience the fruit of genuine joy in the gospel? We can obey God out of fear or from love. God prefers love. Have I maintained a genuine awe of God? Awe inspires, it overwhelms, it intimidates our humanness, it inspires worship. Awe isn’t learned; it is realized. Am I content with who I am becoming? Every day we get one day closer to who we will ultimately be. Am I satisfied with who this will be? Am I becoming less religious and more spiritual? The Pharisees were religious; Christ is spiritual. Much tradition is religious, while relationship with Christ is spiritual. Does my family recognize the authenticity of my spirituality? They see us whole. We would like to believe, and must believe, that if we are growing spiritually, our family will recognize it. Do I give-to-get-to-give-again? John Wimber used to remind audiences that the reason we give is not just to “get,” but to “get” so we can give again, and again, and again… Are we giving away that which God blesses us with? Do I have a quiet center to my life? Peace is not just the absence of conflict, but the absence of anxiety in the midst of conflict. Have I defined my unique contribution? Do we know what we can do effectively? The need is always bigger than any person can satisfy, and so our call is simply to handle the part of the need that is ours to do. Is my prayer life improving? One test of our prayer life is this: Do our decisions have prayer as an integral part, or do we make decisions out of our desires and then immerse them in a sanctimonious sauce we call prayer? Is my humility genuine? Humility is not denying the gifts and power that we have but admitting that the power comes through us, not from us. Is my soul being fed? We have different personality and character traits that need developing or dwarfing. That means we must search out the spiritual food that feeds our soul. Do I have joy? God doesn’t need us, God loves us; and we don’t work for Him to earn His love, we work for Him as a result of His love. He lets us work in order to mature us. That brings joy. A spiritual audit is more than a statement of condition. It is also an indication of spiritual potential. May the coming school year be a season growth toward your destiny in Christ. This post was adapted from an article originally published in 1998 by the (late) Fred Smith in Christianity Today/Leadership Journal. I have continued to adapt it over the years as I think, plan, pray, and grow. You can read the original article here. People took a chance on someone they thought could “drain the swamp.” I get that. And I get that Christians were hoping for more of a voice in determining public policy. But Trump is who we thought he was — and we (all) need to own that. It’s also been demoralizing to listen to many of the “Evangelicals” who are backing him. The vast majority of them certainly don’t speak for me. And the levels of incompetency many of them bring to the table are baffling to me — whether it’s theologically or professionally, and in some cases, both. Sometimes it’s hilarious, but usually it’s quite sad. Here’s what I see the Bible plainly saying: God sent His Son — a brown, Jewish Middle Eastern man — to live a perfect life and die a sinner’s death so that we could enjoy a relationship with a perfectly holy, just, loving and righteous God. The result of this gospel grace is that sinners like me from every race, tribe and tongue will celebrate God’s goodness together, as a family, for all eternity (see Revelation 7:9). My belief is that the gospel alone has the power to overcome social, ethnic and gender barriers (see Galatians 3:26, 28). I am saddened to think that our grandchildren and great-grandchildren will be shocked to learn that many of the beliefs and practices that the current “Evangelical Church” clings to will be just as baffling to them as us looking back and wondering how anyone, ever, could have believed and taught that slavery of any kind was God-ordained, or that any other human being did not/does not inherently possess equal value, dignity and worth. What’s the way forward? Three things come to mind. Humble, respectful and convictional dialogue. This is especially essential for those of us who identify as Christ followers. It is very confusing to people when so-called Christians who profess to know God and practice the Bible behave in ways that do not reflect the demeanor of Jesus. And we must acknowledge that when Jesus did speak and act in anger it was in legit response to the hypocrisy and greed of the religious leaders. There are many excellent resources available, in addition to the Bible. One that I have enjoyed is the book, Convictional Civility, with the subtitle of “Engaging the Culture in the 21st Century, Essays in Honor of David S. Dockery,” who is president of Trinity International University in Deerfield, Ill.
We (white folks, especially) need to speak out on behalf of — and serve — the marginalized, the poor, the weak and the alien. Period. It is clearly stated in the Bible. There is simply no way around it. New life in Jesus Christ will place new motives, capacity, desires — and trust in our hearts. Participate in the political process, and support civic education. It’s been said that we get the leaders we deserve. There is truth to that. The “they” needs to become the “us.” In 2012, former U.S. Supreme Court Justice David Souter was interviewed at the University of New Hampshire School of Law, where he said, in essence, that democracy will fail if we continue our decline into “civic ignorance.” You can watch the (impressive) clip here.